​Lopatka Law provides quality and practical legal services to many businesses ranging from start-ups to established businesses in a wide variety of industries. Not sure if we can assist you or you require more information? There are many reasons to incorporate and there is a lot involved in incorporating whether you are starting up or transferring your ongoing business to a corporation as how the corporation is set up and structured will impact how it carries on business from incorporation. There are lots of considerations involved [see our Frequently Asked Questions below] in structuring the business, unanimous shareholder agreements, business financing and lending agreements, business capital and investment agreements, professional corporation requirements, and corporate governance [directors, officers and shareholders]. Depending upon the services that you require, we can charge competitive flat rate fees for incorporation services. Competitive Flat Rate Fees we can offer for routine incorporations are set out on our fees page, or you can contact us for information on our fees. Whether you buying or selling the assets or shares of a Corporation there is a lot to consider such as corporate matters, corporate minute book and documentation matters, due diligence [searches matters], material contract matters, shareholder matters, financial and tax matters, employee and human resources matters, litigation matters, asset and personal property matters, real property matters, environmental matters, and management matters that you may need to consider and deal with. Structuring and re-structuring a corporation commonly arises whether it is succession and tax planning, brining in key employees, bringing in investors or lenders or structuring the corporation at the outset. 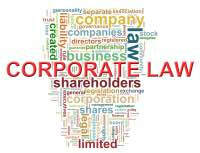 The corporation will have ongoing governance requirements and issues that may arise from time to time, and whether it is maintaining the corporate minute book, acting as registered offices, annual returns and annual general meeting or corporate governance matters that may arise respecting directors or officers or shareholders of the Corporation the ongoing legal needs of a corporation may require legal assistance. For routine incorporations we can offer competitive flat fees [plus taxes and disbursements] for our standardized service and documentation so contact us [call, text or email] for our current fees, further details and to start the process of incorporation. Obtain your ACCOUNT ESTIMATE below. ​Have more questions but not sure you wan to contact us just yet then check out our frequently asked questions for Business Law and for Corporate Law, and other helpful information in our Legal Updates. In addition to our fees, our account will also include disbursements, other charges and G.S.T. which are the expenses that are incurred to complete your transaction. So, while we charge a flat rate fee for the services we provided, we also include in our account the additional expenses that are required to complete your transaction. Incorporation of a Professional Corporation Alberta company for regulated professionals whose regulatory bodies allow them to carry on practice as a professional corporation [accountant, lawyer, doctor, dentist, chiropractor, physiotherapists, optometrists and other professionals]. * The standardized flat rate fees set forth above and in our account estimate : a. do NOT include G.S.T., disbursements and other charges which all are be payable in addition to our fees; b. are effective January 1, 2018 and are subject to change; c. are based upon our standard form of documents and standard processes; d. include one half hour consultation and one half hour meeting to review and execute documents; e. are for non-distributing corporations incorporated in Alberta with the Registrar oaf Corporations for Alberta only with 50 or less shareholders, 15 or less Directors and at least half of the Directors of the corporation being Canadian residents; f. does not include unanimous shareholders agreements, agreements between shareholders; g. Additional charges may apply for additional time and non-standard services and documentation required. Additional rush charges for rush services [2 weeks or less] with the rush fee ranging from a flat fee to the applicable hourly rate depending upon the circumstances. Additional fees may apply for professional corporations as there may be additional requirements [documentation, drafting and approvals] and services to meet those requirements. Requests to meet at a remote location [location other than Lopatka Law] or outside our standard business hours can be accommodated and additional fees may apply. Additional terms and limitations may apply so please can contact us for more details and particulars of the legal services included in our standardized flat rate fees. I Want to IncorporatE - What should i Know? There are an unlimited number of ways to structure your business, and what works best for you will depend upon your business. Corporate Name - Set out below in "What Name Can I Choose for My Corporation" are some of the considerations involved in choosing a corporate name, or you can contact us and we can assist you in determining a corporate name. Directors - You will need to consider whom the Directors of the Corporation should be. Depending upon the articles, bylaws and any shareholder agreements, a Corporation there is a maximum number of directors and a minimum of at least one director. The Directors [and their mailing address] are registered as Directors of the Corporation at Alberta Corporate Registries. There are requirements on who can be a director [a minimum number of Canadian Residents is often required] and limitations on who can and cannot be a director [a bankrupt, persons under 18 or mentally incompetent etc. cannot be directors]. Often one of the motivations to incorporate is to limit liability, the Corporation is a separate legal entity with its own liability, but Directors can as well face a significant amount of personal liability under the Business Corporations Act [Alberta] and elsewhere depending other the laws that may be applicable to the Corporation's business. As it is important that those that are considering being a director of a company are aware of their duties, obligations and liabilities [see below "WHAT ARE THE DUTIES OBLIGATIONS AND LIABILITIES OF DIRECTORS AND OFFICERS UNDER THE BUSINESS CORPORATIONS ACT? for more details]. Shareholders - You will need to consider whom the shareholders of the Corporation are and what shares they are to get. The articles of incorporation for the Corporation will set out the rights, obligations and restrictions for all shares. Shareholders Agreements will as well impact the rights, obligations and restriction on shares. So, whether a share has voting rights [or not] is a common share [or a preferred share] will be set out in the articles. The Voting Shareholders [and their mailing address] of a Corporation are filed at Alberta Corporate Registries. Further, after incorporation there are yearly requirements that must be met, including Annual General Meetings of Shareholders that impact both voting and non-voting shareholders. Set out below is "After I incorporate what are the yearly requirements under the Business Corporations Act". There is a lot to consider in structuring ownership of the shares, and depending upon your business structure in addition to the articles of incorporation a unanimous shareholders agreement can be used to deal with the rights and obligations of shareholders. These are just the legal considerations there are other considerations [tax, accounting, financing and banking, regulatory and industry requirements etc.] that you will as well have to consider. Contact us for assistance in determining what share structure and shareholdings works best for you. Officers - You will need to consider whom the Officers of the Corporation are and what positions they may have. There can be a large variety of Officers [President, Vice-President, Secretary, Treasurer etc.] and their roles can as well be varied. Often the particular roles are set out in the bylaws of the Corporation and elsewhere. These different roles can be very important in the corporate governance as each office has different rights and responsibilities. Similarly to Directors, Officers can as well face significant amount of personal liability under the Business Corporations Act [Alberta] and elsewhere depending other the laws that may be applicable to the Corporation's business. As it is important that those that are considering being a officer of a company are aware of their duties, obligations and liabilities [see below "WHAT ARE THE DUTIES OBLIGATIONS AND LIABILITIES OF DIRECTORS AND OFFICERS UNDER THE BUSINESS CORPORATIONS ACT? for more details]. Registered Office and Records Address - You will need to consider where the registered office for the Corporation is as well as the Records Address. A Registered Office [mailing address and place of business] and/or Records Address must be filed at Alberta Corporate Registries. The Registered Office is generally where the Corporation's minute book and seal are located, where the Corporation can be formally served documents via mail or attendance to the address, and it is where the Annual Return from Alberta Corporations will be sent to [see "After I incorporate what are the yearly requirements under the Business Corporations Act" for more details]. It is very important to note that the registered office [as well as the address for service via mail] is the address at which the corporation can be served with legal documents, and if the documents are properly served then the corporation's receipt of the legal documents are deemed so it is of utmost importance that the registered office [and address for service via mail] be located at a reliable mailing and business address. ​The Record Address is where records respecting the business are located, and often is the head office. There are of course additional considerations in determining suitable addresses for a Corporation and you can contact us for assistance in determining what is the right address for you. The foregoing are some of the legal considerations involved in incorporating and there can be more to consider depending upon the particular needs of your business. It should also be noted that in addition to the legal considerations for incorporation, there may be additional considerations such as tax, accounting, canada revenue agency, licensing, regulatory, industry, insurance and other requirements and considerations. Also, there are certain professionals in Alberta that are required to incorporate "Professional Corporations" that carry with it additional considerations and requirements. We assist our clients in incorporating their business and determine the corporate structure that works for their business, so ​contact us today to see how we can assist you ​with your legal needs. Whether the name or mark has another person's reputation or goodwill connected to the name or mark such that its use would potentially cause damage to that person's rights and constitute the tort of passing off. There are also business considerations to a corporate name such as the availability of domain names, phone numbers, social media accounts [facebook, twitter, google+, instagram etc.] which may be equally or even more important to but fall outside the scope of our standard incorporation processes. This may or may not be an issue for you depending upon your current circumstances and future business plans are. 1. Whether the name is considered to be "available" under the applicable Business Corporations Act and regulations. While there is different legislation in which a company can be incorporation [each Province has legislation as well as Parliament], the separate applicable legislation and regulations that govern the use of similar or identical corporate names. A company incorporated under Provincial Government legislation, in Alberta it is the Business Corporations Act, R.S.A. 2000, c. B-9 [the "ABCA"], will be governed by that provinces legislation, and equally so, company incorporated under the Parliament's legislation, the Canadian Business Corporations Act, R.S.C. 1985, c. C-44 [the "CBCA"], will be governed by the Federal Government's legislation. The separate legislation have regulations governing the use of similar or identical corporate names as well there are separate Registrar of Corporations responsible for governing incorporations and tracking existing and dissolved corporations. Generally speaking in order to incorporate a company in Alberta, or under Federal legislation at Industry Canada, a NUANS name search is required to determine if a corporate name is available, and if the name is available, then it can be reserved for a limited time period. If the company is not incorporated within the time period provided in the search and reservation, then a new search to determine if the corporate name is available will be required. The NUANS name search will provide a preliminary indication that corporate name is available. However, the NUANS name search is NOT a guarantee that corporate name is indeed available. 2. Whether the name or mark is considered to be "available" under the Trade-Marks Act [Canada]. Only the federal government has jurisdiction to govern trade-marks under the Trade-marks Act [Canada], which provides that some trade-marks, a distinctive symbol or wording used to describe particular goods or services of a company as opposed to the name of a company, are intellectual property and afforded protection under the Act. A trade-mark is a word, phrase, or symbol used in association with goods or services. Use of a mark in association with goods or services in the marketplace gives the owner certain rights to use the mark exclusively in association with those goods or services, including a right to claim damages against anyone who infringes the mark. Registration of trade-marks is not required but is provided for under the Trade-marks Act. A corporate name or other trade-name is not necessarily a trade-mark, and the use of words claimed to be a trade-mark in a corporate name will be only one factor the court will consider in deciding whether a trade-mark is valid. The words must be used as a trade-mark to identify goods or services to be valid. Confusion for the purposes of trade-mark infringement is not necessarily the same as confusion for corporate statutes. Use of words constituting a trade-mark in a name, in some circumstances, may not be an infringing use of the mark. Conversely, it is not certain whether a finding that one corporate name is confusingly similar to another under corporate law means that a trade-mark contained in the second name is also being infringed. 3. Whether the name or mark has another person's reputation or goodwill connected to the name or mark such that its use would potentially cause damage to that person's rights and constitute the tort of passing off. There is more to "availability" of a corporate name, trade name or trade mark than a search showing that they are not registered at Trade-marks or the various corporate registries. A person who has carried on business and created goodwill, a good reputation, under a particular trade name or trade mark, or goodwill, under that , as the Courts will in law recognize that person's right to that particular trade name through its use and creation of goodwill. Even if a person does not incorporate, register a trade name or register a trade-mark rights to the trade name will arise by operation of the law, and if a subsequent person or corporation were to use the trade name they may be liable for the tort of "passing off' that damaging or improperly using the goodwill of the person who originally used the trade name. While registration of a corporate name, trade name or trade mark will set a date and give the public notice that the name is in use, it in itself is not a guarantee of a right to use a name. It is also important to note that as passing off arises from the common law, law and precedent arising from the various decisions of the Courts, the Court will afford protection to a party's goodwill where that party conducts business, beyond the boundaries of a province where it is incorporated or is extra-provincially registered, and may even include the potential markets that party may expand into. Whether the use of a corporate name or trade name constitutes the tort of "passing off" is dependent upon the particular facts and circumstances existing before and at the time the name is used as well as existing at the time such a claim is made. It is noted that the facts and circumstances provided are quire limited, and are contemplated to change in time. We assist our clients in incorporating our businesses, and you can ​contact us today to see how we can assist you ​with your legal needs. WHAT ARE THE YEARLY REQUIREMENTS UNDER THE BUSINESS CORPORATIONS ACT FOR MY CORPORATION? The Annual Return for the Corporation must be filed with Alberta Registries in order to keep the Corporation subsisting and up-to-date under the Business Corporations Act [the “Act”] on or before the last day of the month following the anniversary date of incorporation. If the Annual Return is not filed, in due course, the Corporation will be subject to being dissolved and struck off the register. The Act requires the Directors to approve financial statements and present the financial statements to the Shareholders for their review and approval at an annual general meeting. The Corporation must hold an annual general meeting of its Shareholders once in every calendar year and not more than fifteen months after the holding of the immediately preceding annual general meeting. While not a requirement of the Act, in the event that an audit is waived then the annual general meeting is also used to confirm the appointment of Accountants for the Corporation as accountants and not auditors. Also, while not a requirement of the Act, meetings or resolutions may be required for remuneration and bonuses to officers and directors, dividends to shareholders and other matters. There may as well be additional requirements depending upon the status of the Corporation. The above requirements are separate and in addition to other legal requirements of the Corporation, such as accounting, tax, regulatory, licensing, insurance and other business requirements. We provide the legal services required by our client's to meet these requirements, so ​contact us today to see how we can assist you ​with your legal needs. WHAT IS A REGISTERED OFFICE AND WHY DOES MY CORPORATION REQUIRE ONE? A corporation must file several addresses with Corporate Registries. One of the addresses a corporation must file is a registered office and part of the public record of the corporation filed at Corporate Registries. And the corporation shall maintain the corporate records there, unless the corporation designates a records address. It is very important to note that the registered office [as well as the address for service via mail] is the address at which the corporation can be served with legal documents, and if the documents are properly served then the corporation's receipt of the legal documents are deemed so it is of utmost importance that the registered office [and address for service via mail] be located at a reliable mailing and business address. We provide registered offices services, and you can ​contact us today to see how we can assist you ​with your legal needs.